If I had to choose only one object to paint, it would be something that was either shiny or constructed of glass. 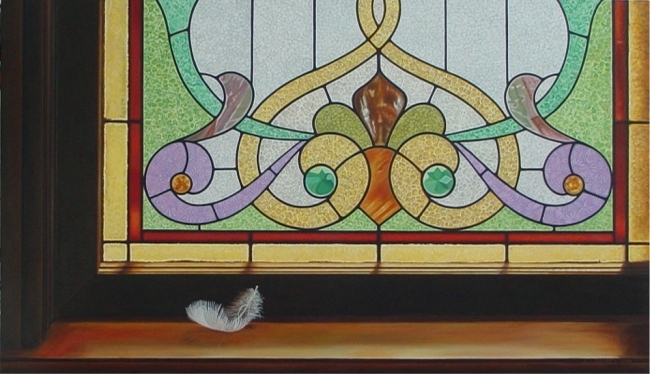 This painting is based on a stained glass window in the Banting House National Historic Site in London, Ontario. I found the feather on a beach near Port Stanley, Ontario during a walk on an unusually warm day just after Christmas.